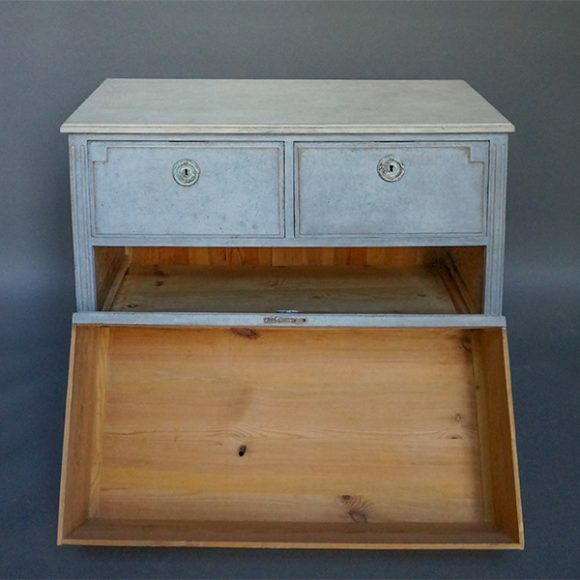 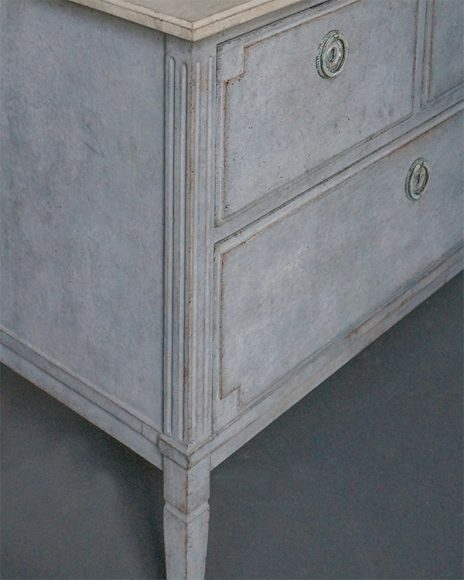 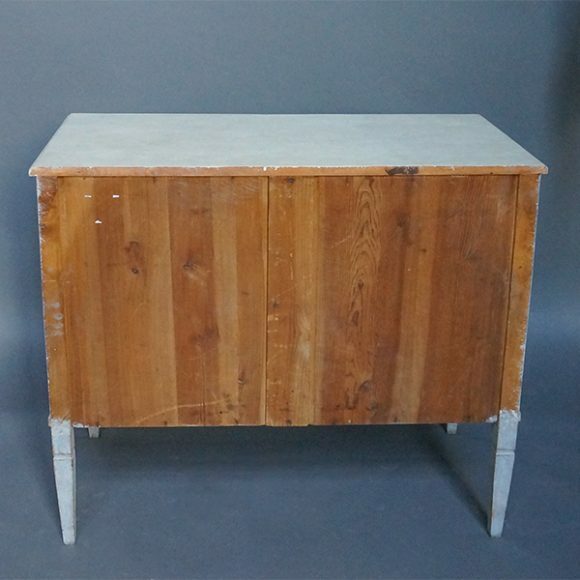 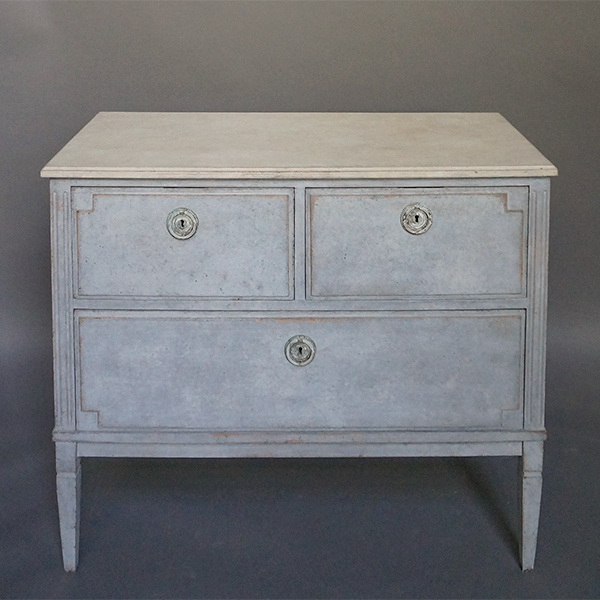 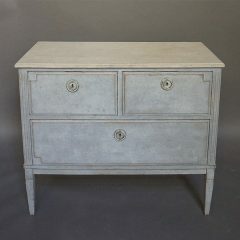 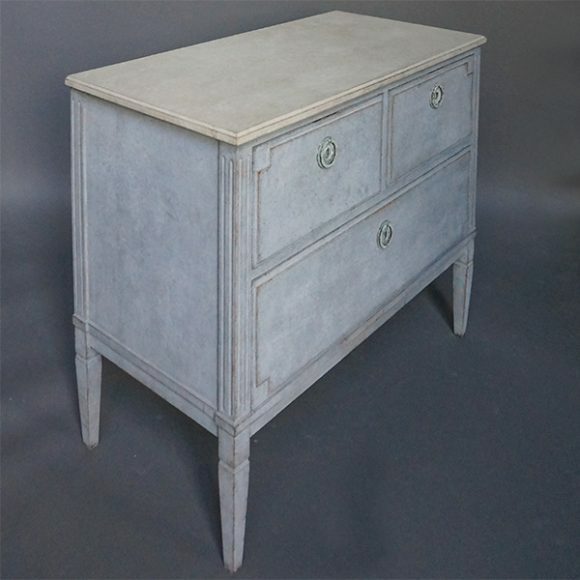 Two over one commode, Sweden circa 1900, in the Gustavian style. 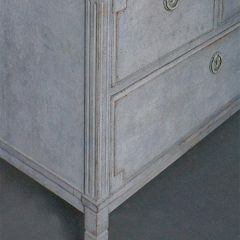 Raised panels on the drawer fronts and fluted corner posts which extend into tapering square legs. 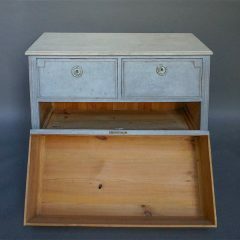 A perfect size to use beside a bed or sofa.